There has been an alien influence on human development since the dawn of Man. Following World War I, a race of evil aliens identifies Germany and its future dictator, Adolph Hitler, as the perfect partner to further their devious agenda to produce a hybrid human species that combines the DNA of the aliens with humans. They choose Germany because they considered that country vastly superior to all other earth nations in the areas of science and technology. In Hitler, they find a maniacal personality who will stop at nothing to rule the world. The alien leader believes that a person like Hitler can be manipulated with visions of power and grandeur. Hitler makes a pact with this alien race, eager to receive advanced technology that will help him win World War II. The aliens need human subjects to produce a hybrid human species. In exchange for the technology, Hitler orders experiments to be conducted on prisoners in concentration camps. 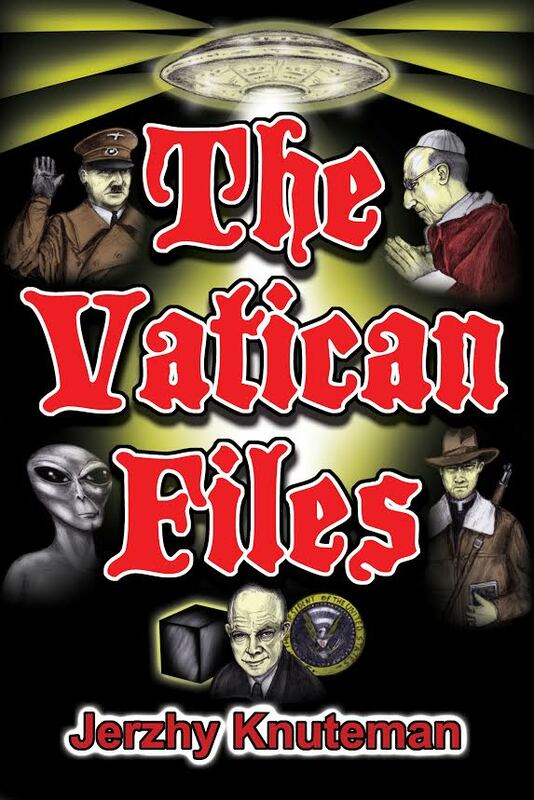 Inexplicably, an ancient manuscript is stolen from a Vatican secret archive by one of the Vatican’s arch-enemies. Hot in pursuit of the thieves are two recovery teams to find it first, one from Hitler’s secret Ahnenerbe branch of the S.S. and the other from the Papacy. Hitler wants it to blackmail the Pope while he plans for World War II. The Pope wants it because the contents, if made public, will destroy the Catholic Church at its core. Leading the Vatican recovery team is Paul Dante, an American-war-hero-turned-Jesuit-priest, who is Pius XII’s most trusted aide. Hitler’s team is led by Karl Wolff, a young German scientist duped by the lies Hitler tells about the good Wolff will do leading the special military and civilian operations. When the Germans eventually come into possession of the manuscript, the Pope is held hostage by Hitler’s threat to publicize its shocking contents. Dante recruits and plants a spy deep within the German Chancellery who is able to forward information to the Vatican about Nazi plans. Following World War II, the American government uses a secret communication device to contact the aliens and make a secret agreement that has affected American lives since the 1950s. Pius XII creates a new Vatican intelligence agency and appoints Dante as its first director. It will be Dante’s responsibility to track alien influence around the world, and report all findings directly to the Pope. The Vatican will become the repository of all the world’s deepest secrets.